Then my next question is have you read 'Da Vinci Code' by Dan Brown? Then drop everything you are doing and get this book on your reading wish list. This fiction story about While in Paris, The Harvard symbologist Robert Langdon, is awakened by a phone call in the middle of the night. The elderly curator of the Louvre museum has been murdered inside the museum, his body covered in baffling symbols. As Langdon and gifted French cryptologist Sophie Neveu sort through bizarre riddles, they are stunned to discover the trail of clues hidden in the works of Leonardo da Vinci (including the painting of "Monalisa")- Clues visible for all to see and yet ingeniously disguised by the painter. The book has been presented in short chapter form, in which it tells a story of three different scenarios. This style of story-telling separates each part by building mystery and connecting all the dots in the end. If you love mystery, code-decoding, analysis of history, chase thriller. This book is the holy grail for you. (You will know lot about Holy Grail in this book). Though 481 pages might make your mind nervous, but trust me, you won't stop for anything when you would connect to the story after 50 some pages. If you have already seen the film "Da Vinci Code -2006", you can imagine characters, set etc. But I think, you will get to know real story in details only in the book. Because in films, the director is unable to present a background of each word or references briefly. Dan Brown created the character Robert Langdon, who is Harward Symbologist professor. 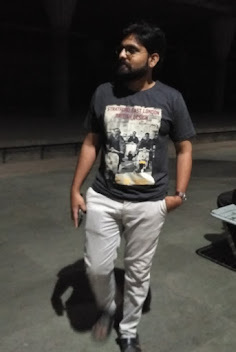 He is not much of a stunner in life but he loves to decode and unveil the mystery. In Dan Brown's each novel, Robert gets dragged into the story and has to run away from police to prove his innocence and also end in resolving the mystery. What I love most about Dan Brown's novels that how he interweaves codes, science, religion, history, art and architecture.History always has been preserved by our ancestors through symbols, engravings, books, architecture, which Brown reads very well. While the book is a work of fiction, Dan Brown has done an exhaustive amount of research to ensure that his explanations and depictions of history and the ancient societies that are featured in the book are as accurate as possible. At the time of launch of the book as well as the film, it had faced troubles from churches and the people having faith in traditional religion history. But, I think after acceptance of book all over the world, it has been appreciated by all genre of readers. In Brown's defence, he is a writer first and foremost, not an art historian or theologian. In defence of Brown's research, he is not a heretic who thought up the concepts he describes. There are plenty of resources that agree with the version of history and events described in The Da Vinci Code. Frankly, even an art historian or a theologian, in my opinion, can not state for certain how things are. That is why it is called "faith". Brown's book gives you plenty to think about though in exploring the roots of that faith. After reading this book, visiting The Louvre Museum (France) has been added to my bucket list. 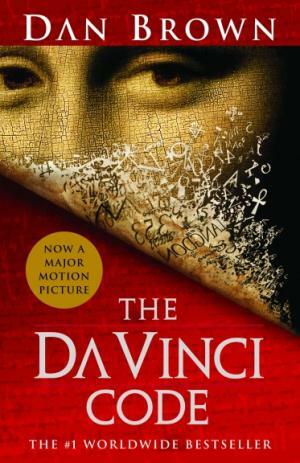 Note: Above review is based on the novel "Da Vinci Code" by Dan Brown. Every viewpoint in this article is personal. If you have any suggestions or appreciation, please write in a comment box.